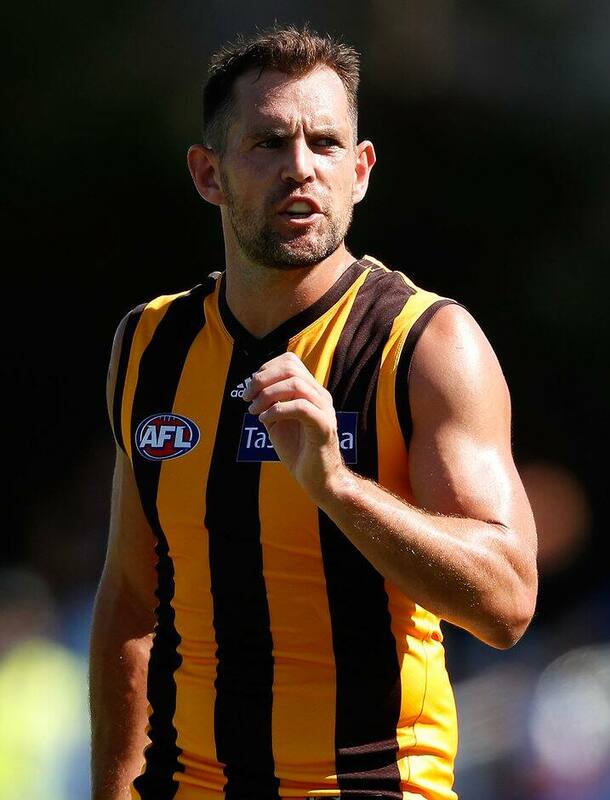 HAWTHORN has suspended former captain Luke Hodge for round one after a "communication breakdown" saw him miss a training session this week. Hodge said his failure to communicate with the club was a "brain fade". The Hawks released a statement on Friday afternoon, saying the veteran had "failed to adequately inform the club of his absence" before missing the session. "I had something to do, which was important to me, but in saying that it is a simple thing just to make a phone call," Hodge told reporters at Princes Park on Friday afternoon after playing for Box Hill in a VFL practice match. "Especially with a new captain, new vice-captains ... they're just upholding the standards that we've held for the last six to eight years, which have held us in good stead. "I fully support the decision ... I'd love to be out there against Essendon but I think for the benefit of the club and where we're going in the future it's the best thing." The 32-year-old declined to expand on his reasons for missing training, adding only that it was a personal matter. Hodge handed the captaincy to good friend Jarryd Roughead in January, with Isaac Smith and Liam Shiels appointed vice-captains. The ban means the Hawks will go into their round one clash against Essendon without three of their recent premiership heroes after the departures of stars Sam Mitchell and Jordan Lewis in the off-season. It will be the first time since round 10, 2002 that there hasn’t been at least one of Hodge, Mitchell or Lewis in Hawthorn’s senior side. Hodge said he was extremely disappointed in his actions. "I have prided myself on holding the playing group to very high standards and I am disappointed that I let them slip on this occasion," Hodge said earlier in a statement. Hawthorn football manager Jason Burt said there was a "breakdown in communication" on Hodge's behalf and his actions were not reflective of the standards expected by the club. "Luke understands that he did not meet the standards of Hawthorn on this occasion," Burt said. "Unfortunately there was a breakdown of communication on Luke’s behalf that led to a misunderstanding of his training expectations. "The sanction is reflective of the standards and values of our club of which Luke has played a large role in creating and driving." When captain in 2015, Hodge was fined $5000 by his leadership group on the eve of the finals for drink driving. He was not suspended by the club on that occasion and led the team into September.